WordPress optimized for the highest level of security, scalability, and performance. We've partnered with WordPress VIP to put our clients websites alongside of the world's most popular websites. Please take a moment and fill out the information about your project below. If you prefer to call us you can reach us at 623-252-6395. Are there any important dates coming up that affect your timeline for this project? Through our relationship with WordPress VIP, we have learned how to design and develop sites to run on VIP and worked hand-in-hand with the WordPress VIP team on the code review process, a critical component to creating a high-performing website. 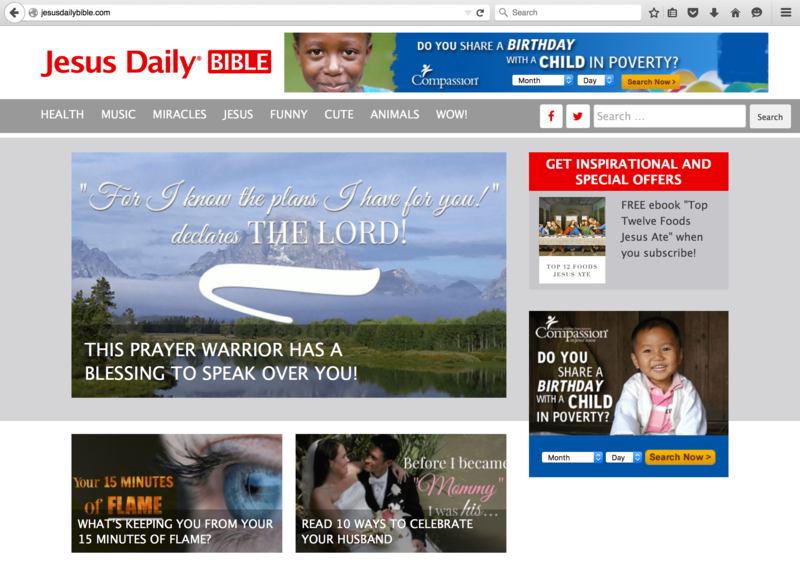 Most recently, we created jesusdailybible.com -- a popular, high-traffic blog -- built to meet VIP specifications. Lower your risk and get faster results with Mode Effect.